You are here: Home » GENERAL ARCHIVES April 2017 » April 21-23, 2017 -- Attorney General Sessions's cronyism on display on "some island in the Pacific"
April 21-23, 2017 -- Attorney General Sessions's cronyism on display on "some island in the Pacific"
Attorney General Jeff Beauregard Sessions tipped his hat to his inherent racism and cronyism in a radio interview with the whiny Philadelphia lawyer -- there is nothing worse in the legal profession -- Mark Levin. In an April 20 appearance on Levin's radio show, Sessions bemoaned a decision by 9th U.S. circuit judge Derrick Watson, for whom then-Senator voted to confirm, to stay President Trump's immigration ban order on individuals from six predominantly Muslim nations. Sessions criticized the stay by Watson, who is a native Hawaiian, and added that he was "amazed" that a judge from an "island in the Pacific" could circumvent Trump's order. Sessions demonstrates the same lack of knowledge about geography that plagues his boss, the president. Hawaii is not an "island" but a chain of islands that includes the multi-island state of Hawaii and the unincorporated territory of Midway Atoll. Trump recently infuriated both South and North Korea by misstating the Chinese president's comments to Trump during their meeting in Florida. Trump mischaracterized President Xi Jinping's comments as claiming that Korea was once part of China. It was left to Chinese foreign ministry officials in Beijing to delicately clean up Trump's mess with both Seoul and Pyongyang. Sessions's actual statement was: "I really am amazed that a judge sitting on an island in the Pacific can issue an order that stops the president of the United States from what appears to be clearly his statutory and constitutional power." Levin, a chief of staff for Attorney General Edwin Meese, who is fond of calling people "morons" and "pukes" on his radio show, graduated from the same suburban Philadelphia high school that counts that equally-insulting and whiny Israeli Prime Minister Binyamin Netanyahu among its alumni. Levin is an icon for racist Zionism that permeates the airwaves in the United States, Canada, Australia, and Israel. Sessions, who is one of the most corrupt politicians to have ever represented Alabama in Congress, was, rejected as a federal judge by the U.S. Senate over his past racist statements. In defending Sessions's remarks, Sessions's spokesman Ian Prior, a former communications director for the super-PAC American Crossroads, founded by Karl Rove, stated, "Hawaii is, in fact, an island in the Pacific — a beautiful one where the Attorney General’s granddaughter was born." However, Prior was also incorrect. Sessions's son-in-law, Navy Commander Paul Reinhardt, was stationed in Pearl Harbor aboard the USS Chicago when his daughter was born. Pearl Harbor is located on the island of Oahu, not the "big island" of Hawaii. Reinhardt is now the commanding officer of the Blue Crew of the USS Alabama, home ported in Pearl Harbor. The Blue and Gold crews of the USS Alabama are required to engage in a bizarre cheer when boarding the nuclear missile submarine, "Go ‘Bama, Roll Tide!" The chant is that of the University of Alabama football team, the Crimson Tide. Reinhardt, the Blue Crew commander, a graduate of the University of Virginia, did reveal that the Blue and Gold crews of the submarine wear "with pride" 350 T-shirts donated by the University of Alabama. Sessions received his law degree from the University of Alabama. Was Sessions behind linking the U.S. ballistic missile submarine USS Alabama to his alma mater, the University of Alabama, along with the school's racist past? The willful association of the Navy submarine with a university bearing a checkered racist past is unusual. 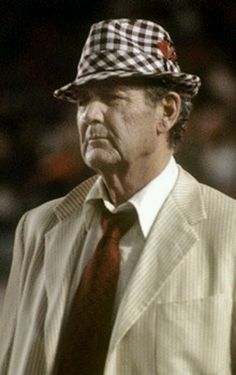 The University of Alabama did not desegregate until 1963 and iconic Crimson Tide football coach Paul "Bear" Bryant refused to recruit African-American players until 1970. There are suspicions that Sessions, a member of the Senate Armed Services Committee's Subcommittee on Seapower, which has jurisdiction over the Navy, played a part in the linkage of the USS Alabama to his alma mater, including his son-in-law's assignment to the submarine as commanding officer. Such cronyism is a hallmark of Sessions and his Republican colleagues in Alabama. It is interesting that Sessions chose a former associate of Rove as his DOJ press spokesman. Rove and Sessions conspired in several "witch hunt" political prosecutions of Alabama Democrats, including that of former Governor Don Siegelman.